"There's something happening here, what it is ain't exactly clear." 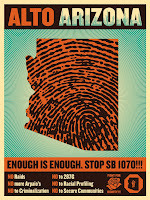 Arizona is on the leading edge of a national discussion on illegal immigration due to it's passage of legislation known as SB1070 or the Arizona Immigration Law. The original law was amended within a week after passage to specifically prohibit racial profiling and stipulate that the request to "show your papers" may only made in the course of enforcing any other law and not solely for the purpose of checking immigration status. This amendment is rarely cited when any mention of the law is made by the media or anyone speaking out against it. The next step in the State of Arizona's process of attempting to stem the flow of illegal immigration through the porous border on the south, is to introduce into the legislature next year, proposals to deny birth certificates to children born in the state, of parents who are illegal immigrants. This idea is based on interpretation of the original US Constitution, various interpretations of the Fourteenth Amendment of the Constitution and the intention of Congress, as well as court rulings. It remains to be seen how that will play out between now and the next Arizona Legislative Session. Another piece of legislation afoot is to charge students of illegal immigrants tuition for attending public schools. Therein lies another legal conundrum due to the US Supreme Court decision in Plyler v. Doe (457 U.S. 202, 1982) which ruled against a State of Texas statute withholding funds to school districts that allowed the children of illegal immigrants to attend their schools. Over the years this ruling has been cause for much debate regarding the overreaching of the Supreme Court in interpreting the Fourteenth Amendment. Regardless of what view anyone holds on any of these issues and what opinion someone may have of the motivations of the legislator instrumental in spearheading these pieces of legislation or supporters of them, one thing remains plain, simple and clear. You don't need to go very far back in history to see it either. All of this is leading up to a confrontation between the State of Arizona (and probably other states who are following suit) and the Federal Government. The last confrontation of significance between states over States Rights and the Federal Government was over school desegregation by primarily Southern States and occurred over decades from the 1940s to the 1970s. The General Population is not happy generally. Make of that what you will. Let me be clear, I am only stating what I observe after careful watching, doing my best to keep an open mind and giving every opportunity to all sides to prove me wrong. This video was taken on the Friday of Memorial Day weekend at Alto Arizona, an anti-SB1070 protest. 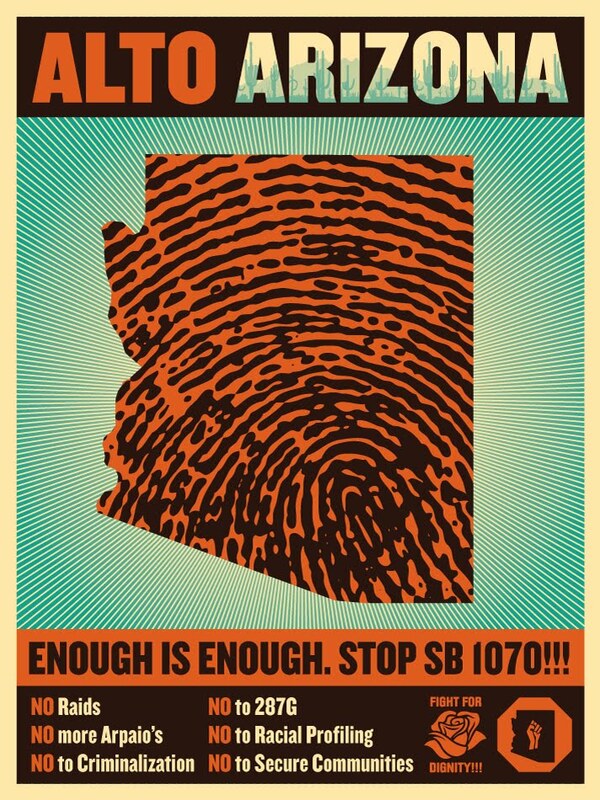 The following day a pro-SB1070 rally was held. I view both events as the last opportunity I will spend time on for several reasons. 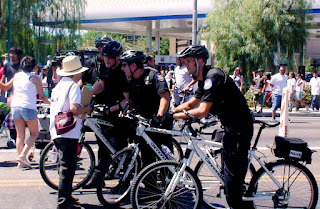 Mainly I'm not sure what good comes from my attending any of them and I have a sneaking suspicion that any subsequent demonstrations will rival the civil disturbances and riots of the 1960s and 1970s and I experienced some of those. This video is my own personal social commentary of what I saw at one event. Red State, Brown People, Blue State Ideas... from JR Snyder Jr on Vimeo.